One of the great things about hiking is discovering how many beautiful places there are in England. A couple of weeks ago I went up to Shropshire for a weekend of hiking near the Long Mynd. Sadly my plans were interrupted by a migraine. I couldn’t start the main walk, and arranged to join my friends half way. I set out to meet them at Pole Bank, and took the wrong direction. The rendezvous was ontop a ridge, with various valleys etched on the edges. I picked the wrong valley, striking north-east rather than north.I should probably have taken a map, as the combination of a photographed section of OS and smartphone was not enough. Climbing the hill I was weak too, barely able to breathe. I was an hour from the rendezvous, lost on a golf course and realised I was going to have to turn back. This was the first time I’ve had to give up on a walk, and I was disappointed. I’m used to planning over-ambitious walks then managing them. Giving up half way was not easy but it was the right thing to do. At least mobile phones meant I could let everyone know what was happening. I did manage a couple of smaller walks, the first an afternoon stroll up Carding Mill Valley. 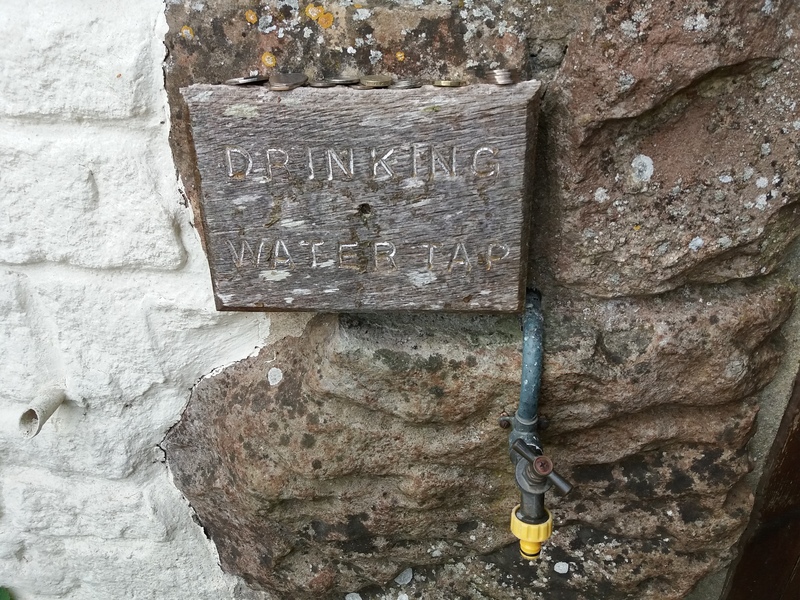 And the following day, early in the morning, we drove a short way along Watling Street North to climb Caer Caradoc. 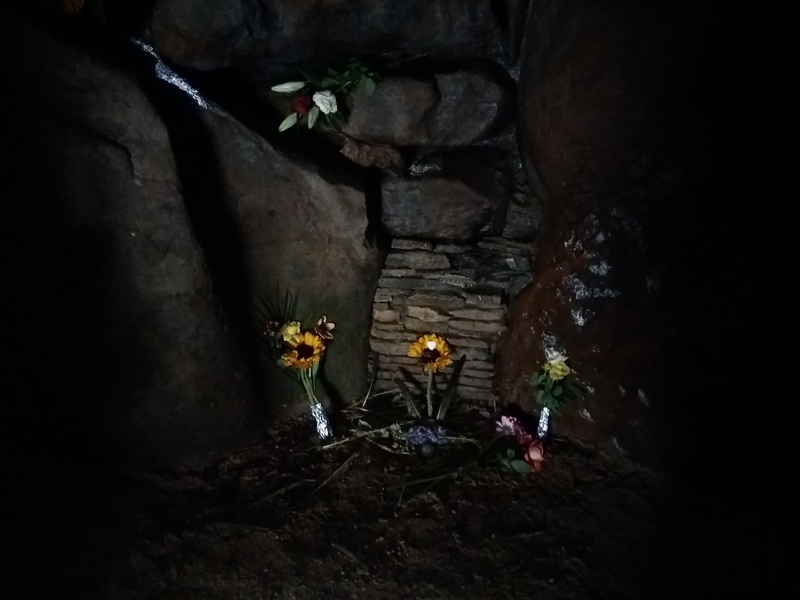 We had thirty minutes to ascend before turning back for home – we still needed to check out of the airbnb. I managed the climb and was rewarded with some amazing views of the local area. It made up for my failure on the earlier walk. 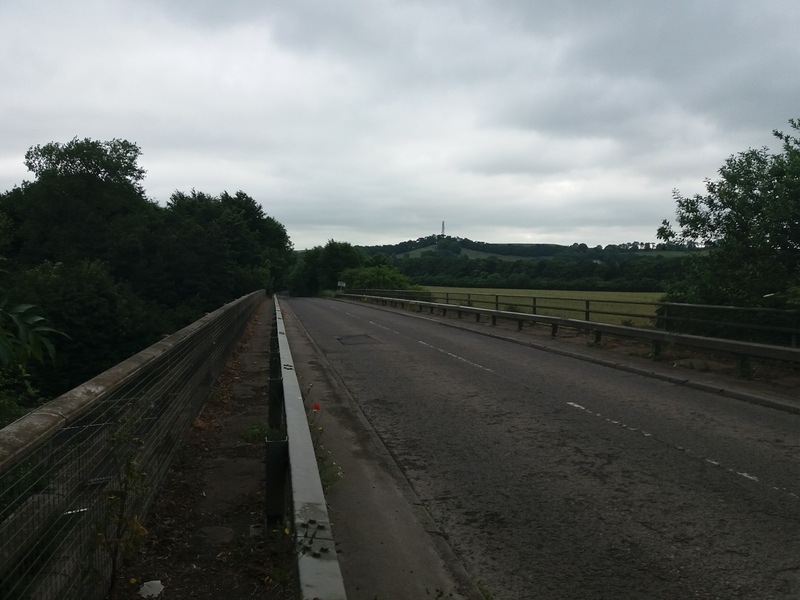 The hill was meant to be the site of Caractacus’ last stand against the Roman invasion. There was supposed to be a cave near the summit, but we couldn’t find it. 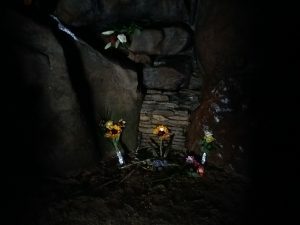 According to legend, the cave can only be found at dawn, so maybe we’d arrived too late for that. We also tried out the local curry house, and Church Stretton’s Jaipur Lounge was excellent. I’ve heard the South West Coastal Path being compared to Everest. Which is a bold comparison, but it’s one that the official website makes too. Over the path’s 630 mile distance, it manages a total ascent of 35,000 meters, which is almost four times the height of the world’s highest mountain. But, the website boasts, the SWCP is even better as “completing the 630 miles will see you cross 230 bridges, catch 13 ferries, open (and close!) 880 gates, climb over 436 stiles”. There are no ferries on Everest. 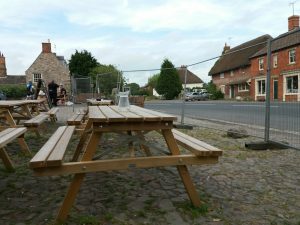 Back in March we walked a small section of the path, from Exmouth to Beer. This is a long way from home in Sussex – I’d originally suggested walking a section from Dorset, but something was lost in translation, and we ended up walking a section in Devon. The main impression of the SWCP is hills. There are slow climbs up long soaring cliff-sides, before dropping down to sea level once more. On the second day there was a race from Exmouth to Seaton, which looked amazing and made me very sad that I can’t run these days. Two other impressions from the walk: a lack of coffee and far too much mud. You know those inns in fantasy novels? 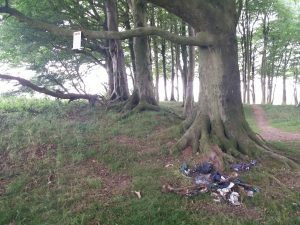 The ones with a blazing fire, where travellers discuss their journeys and their lives? Most pubs I’ve visited don’t come close. 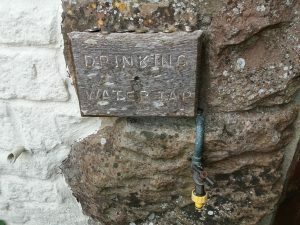 The only place I’ve had that experience is the Tan Hill Inn, the highest pub in the UK. The Tan Hill is a decent walk or drive from the nearest town, and famed for being isolated. It has its own snowplough and generator; in March 2013, visitors were stuck there for five days. The pub has survived for centuries as a refuge and is a well-placed stop on the Pennine Way. Before going, my mental image of the place was the Slaughtered Lamb in the movie American Werewolf in London. Indeed it had been used in a Vodafone advert, with the pub sign from this standing in the corner of the bar. We arrived to a blazing fire, which someone told me was kept going at all times. In the dining room that night, people gathered. As people played music next door, we talked about about our journeys, what we’d seen and plans for future walks. 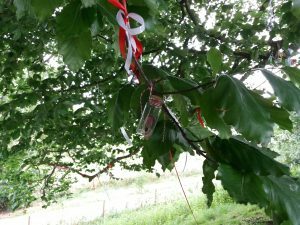 A couple, a man from Essex woman and his fiancee from Riga, had dropped by and ended up deciding to hold their wedding at the pub. The talk went between tables, as did the dogs. 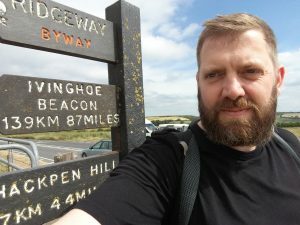 We discussed walking the Pennine Way North to South, running out of water in the Cheviots, and hiking injuries. In the bedroom was a book called The Ascent of Everest. It seemed appropriate for an Inn with so many hikers. But, flicking through the book I found it was about a different Everest to the one I expected. Sunset was beautiful – from the window of my room I could see only a couple of lights. Indeed, on the next day’s hike, it was most of the day before the ridge where the pub sits dropped out of sight. For me, one of the best points in hiking is the brief conversations with other travellers – where are they from, where did they set out from, what have they seen on their way. As we get further north on the Pennine way, accommodation becomes rarer, and the hikers cluster more. There’s something fantastic about drinking a pint with people you’d never meet anywhere other than the country’s highest pub. 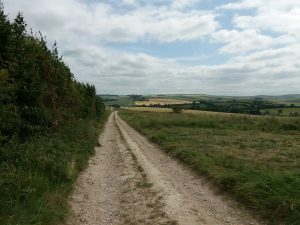 I’ve walked three complete trails this year: North Downs, Limestone and Ridgeway. 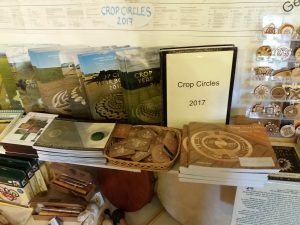 In each of these cases, the ending of the trail has been a strange experience. Given all the work that goes into promoting and maintaining these routes, I’m surprised more thought doesn’t go into the ends. 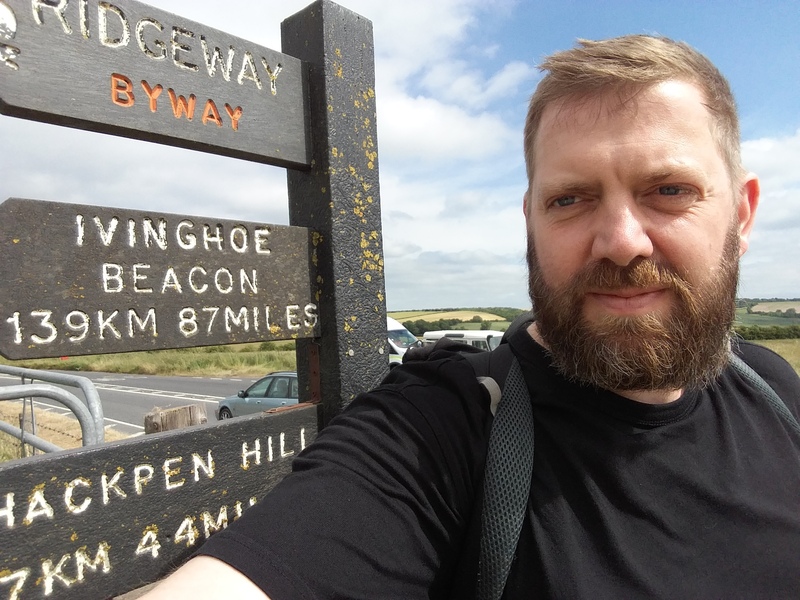 Walking the Ridgeway against the grain, from Aylesbury to Avebury, meant a more exciting destination, but a less impressive final stage. 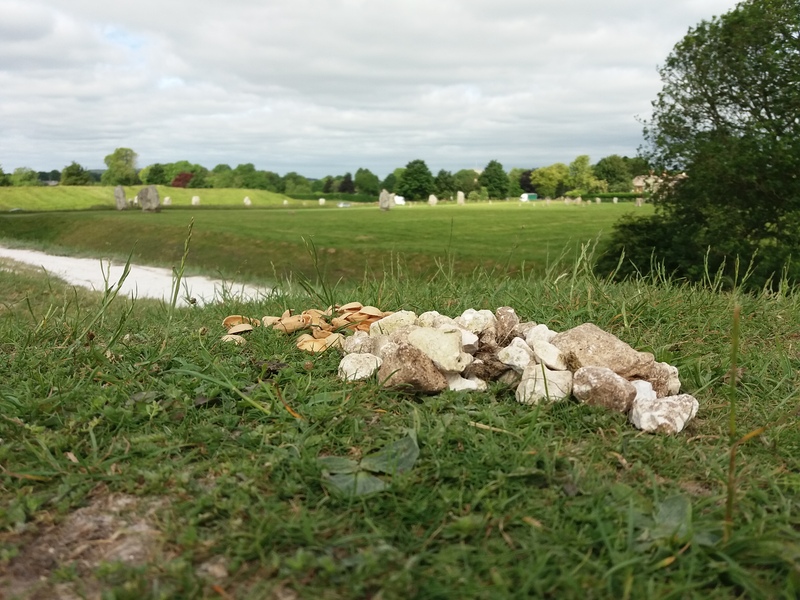 Much of day five was open countryside and tame scenery – but it was good to spend a night in Avebury, a short distance from the stone circle. The final day began with a boring stretch of roadway. The weather was cloudy which was a relief after four days of harsh sun. 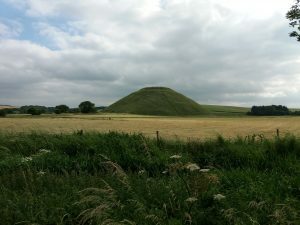 Avebury is a fascinating place to visit, with some incredible ancient sites. 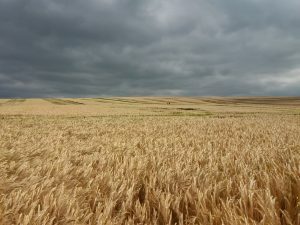 As it was mid-Summer, the hill up to Kennet Long-Barrow was covered in golden corn. 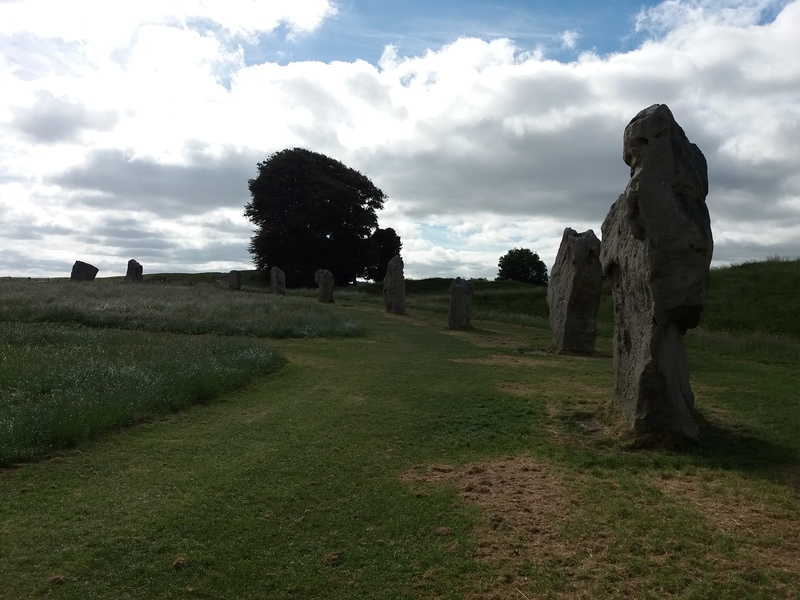 I somehow missed this the last time I came to Avebury, so it was good to explore. I think it’s a shame we’re no longer allowed to climb Silbury Hill. Who are we saving it for? 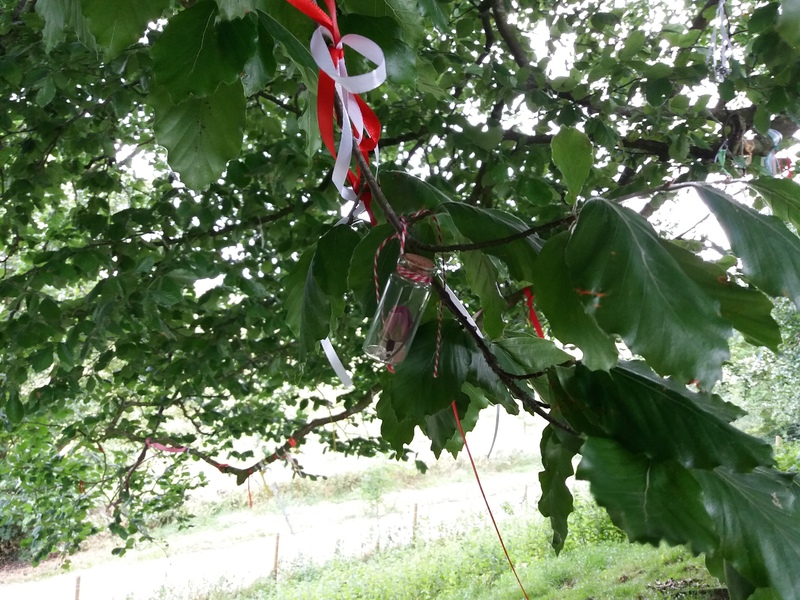 As it was just after the solstice, Avebury had been visited by people on the way back from Stonehenge. 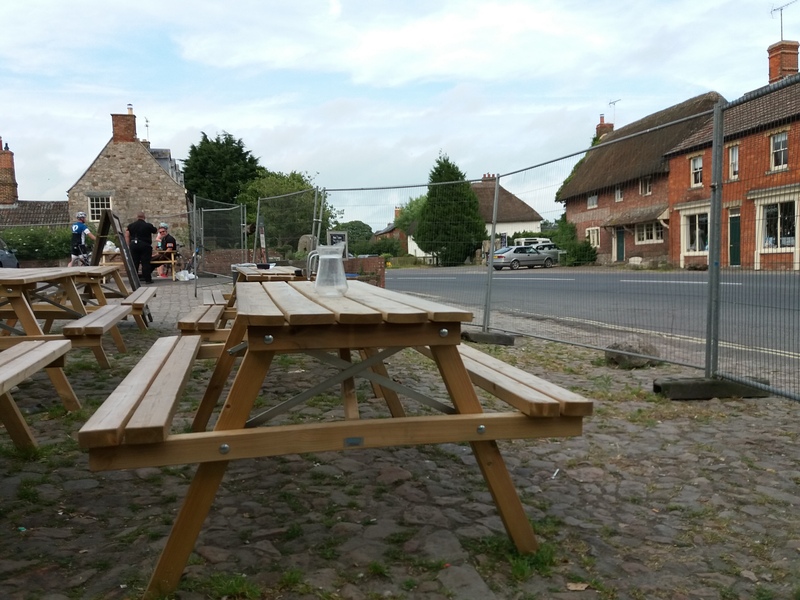 The Red Lion pub, inside the stone circle, was surrounded by fences. Security guards kept watch. I learned these were not designed to keep hippies out, but to keep everyone safe from stumbling into the road. 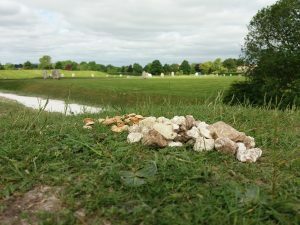 Avebury is a great place to explore. 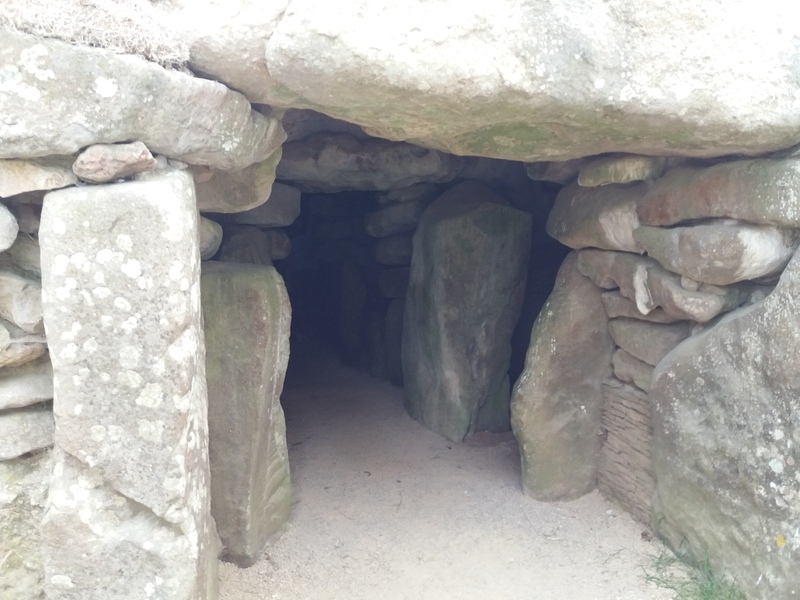 Putting your head against these stones, you can feel the energy thrumming through them. 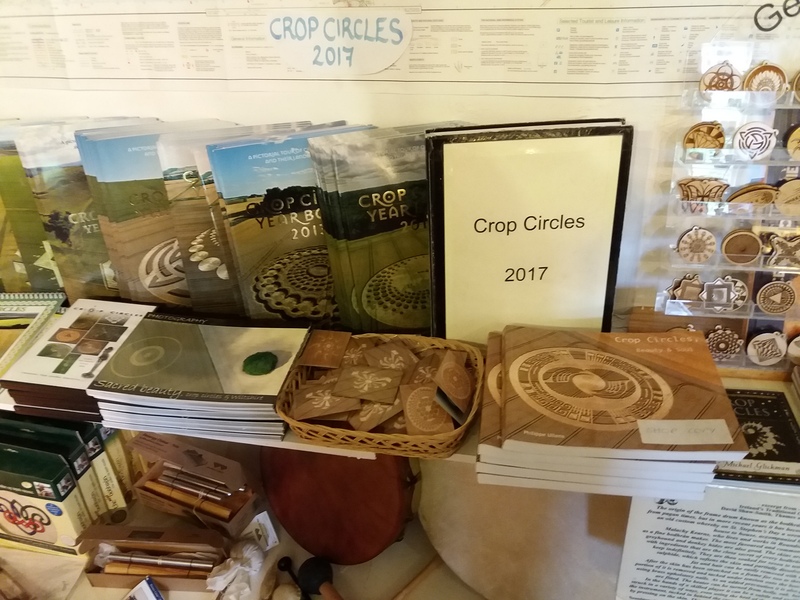 In the local Avebury shop there is a binder with pictures of the year’s crop circles. After a couple of hours exploring, we took buses and trains to make our way back to Brighton, just in time to set off on my next hike with Katharine and Romi. 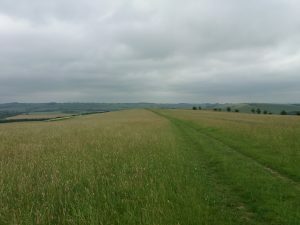 The Ridgeway was a fun trail to explore. The route followed did have the feeling of one followed in ancient times. The final hike on the North Down’s Way was far more interesting than yesterday’s dull section. But, sadly, the trail’s end in Dover is a bit of fiasco. I’ve been walking this route with Katharine and Romi since January, inspired by the section of it at the start of the Downs Link path. We continued in February, April and June before finishing this weekend. While weekend walks are easier to schedule than complete hikes, they are hard work. There is a lot of car shuffling and I miss being able to just walk from a B&B onto the trail. 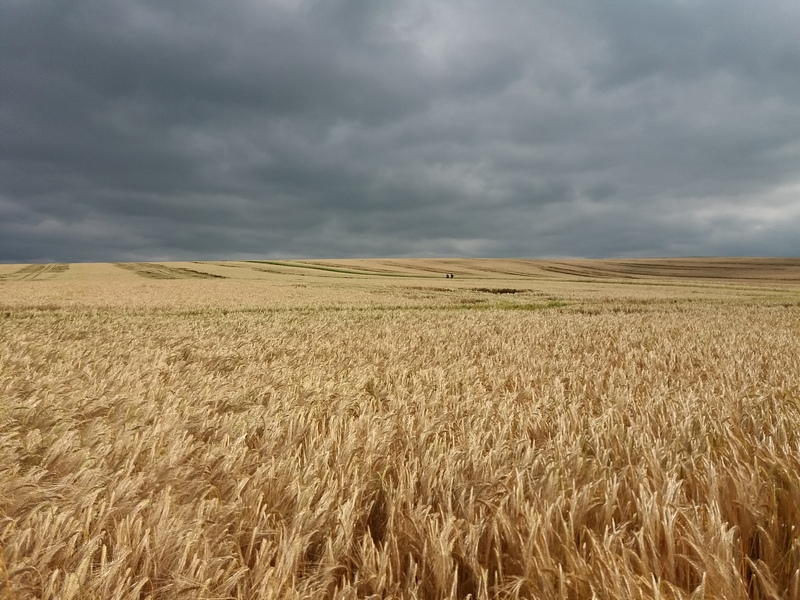 At the start of the walk, it looked like it was going to another trudge through empty fields. Soon we found ourself walking through some cornfields, which was much more exciting. The sky was cloudy, but the day was warm and dry. I decided not to use the gate here. Romi claims that this means I didn’t complete the actual North Downs Way. In this field a cow stood on the path. Katharine and I have had some bad experiences in cattle fields. These cows were quite calm, although passing through was tense. Just like yesterday, one of the road names appeared to be a metafictional comment on the walk. Five miles to go! Can you see where the signpost is in the scene below? It took us a while. I’m not sure how many people actual walk the North Downs Way. We met very few people, and some parts of the trail were hard to follow. On the last few hundred yards, the North Downs Way takes in this scenic car park. 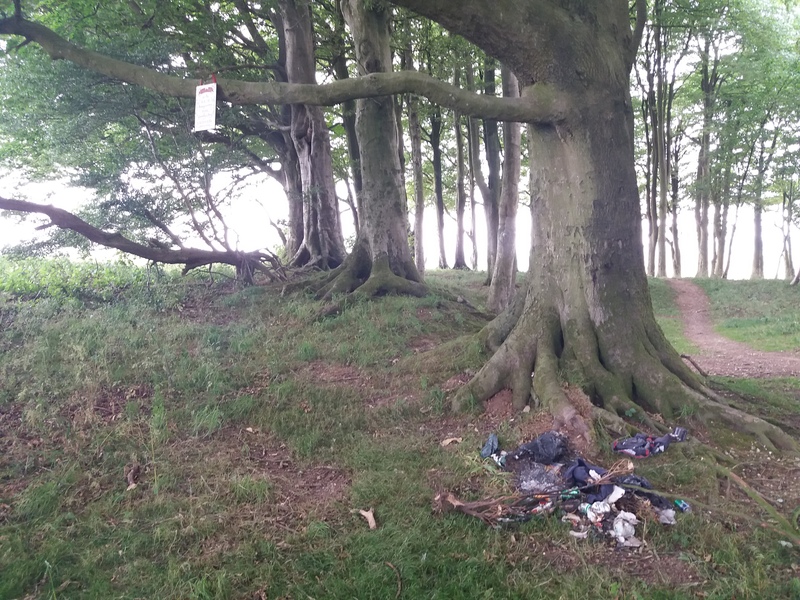 Dover is a discordant note at the end of the trail – it’s not a pleasant place to visit. The end of the trail is almost as bad as the Limestone Way, which concluded with just a one-armed signpost. He we reached the end point in Market Square to find no mention of the trail. We had to google the Rambling Man website to find out that the trail end had moved to the seafront. We found it in the end, and ate salted caramel icecream on the seashore. Then we had coffee and drove home. It took a couple of hours to drive home. Along the M25 I passed a section of the walk from February. I’ve enjoyed the project of walking this trail over the last nine months. The question is: what next?